Blockchain company WAX and esports powerhouse Fnatic work on digital collectibles. 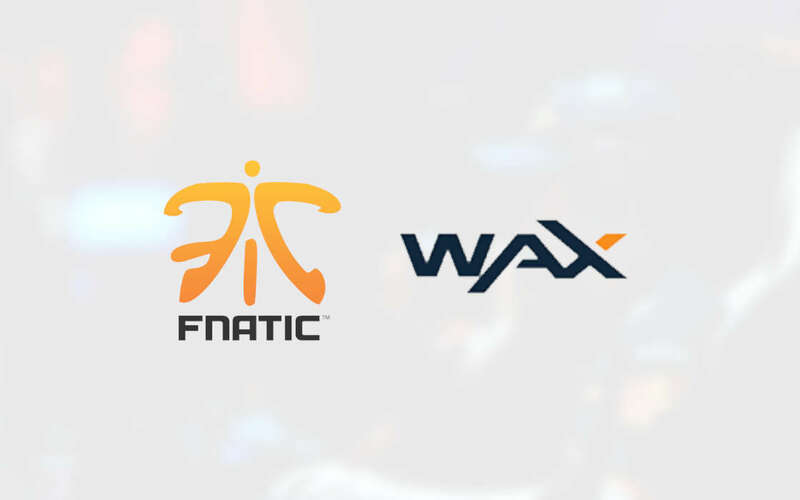 Esports organization Fnatic has teamed up with World Asset Exchange (WAX), a blockchain-based company, in a bid to create a portfolio of digital collectibles developed on the same technological foundation WAX uses. World Asset Exchange (WAX) and Fnatic will work together on delivering blockchain-based digital collectibles which will be marketed to fans. WAX uses a decentralized ledger that makes the exchange and trading of digital assets traceable and secure. The technology is also used in creating the same digital collectibles that the company will use to market to fans. 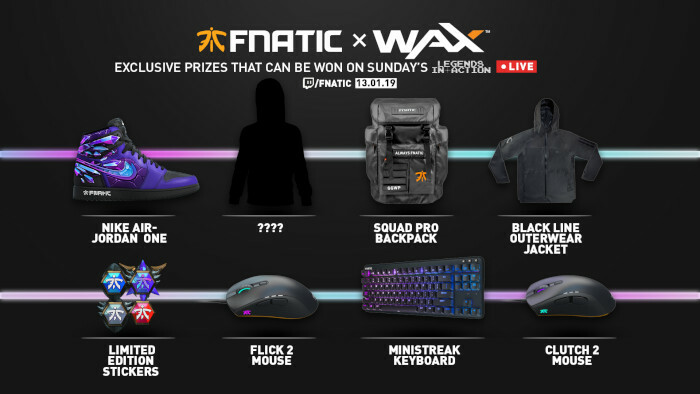 WAX and Fnatic will whip up excitement for the upcoming partnership by hosting a number of giveaways. The fan-focused events will be broadcast from Berlin this weekend as part of Fnatic’s “Legends in Action – Live”. On Sunday, for the first time ever, we will bring Legends in Action to you LIVE. There will be quite a bit of available merchandise, including gaming gear, t-shirts, and other branded paraphernalia. This will be the first time that Fnatic will have used WAX’s blockchain-driven platform to hand out the treats in real time. Fans who tune in to watch on January 13 via Twitch will be able to participate in the various mini-games and win Fnatic xWAX collectibles. To mark the partnership, the two companies will also work on their own set of memorabilia which will go live at the event. We see this new kind of transaction experience as very forward-thinking, and it’s something we’ve been waiting years to try, since people are already very used to trading virtual items in the games they love. Mr. Pagotto specified that this was just a first step towards a future in which memorabilia and collectibles play an important role in the connection with fans. The items that are won will be shipped automatically by first being assigned to the user’s digital account before arriving later via a courier. WAX CEO William Quigley has been quite excited at the news, highlighting the WAX e-commerce-driven approach and the fact that the company had had the fortune to work with an established esports powerhouse as Fnatic. Fnatic are no strangers to standing out from other esports organizations, with the team embracing a concept of developing a virtual reality bar where digital avatars can hang out much like in chat rooms. Fnatic and WAX harness the power of blockchain to deliver digital collectibles for esports fans to enjoy. Tune in to Legends in Action – Live!